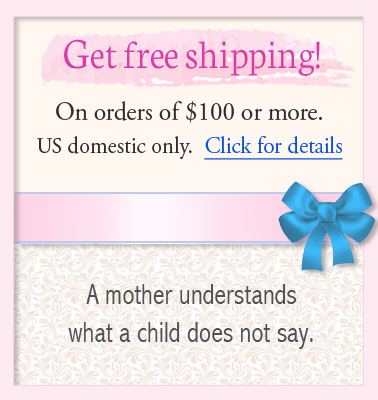 Multi-name bracelets for mothers are a customer favorite design in our mothers jewelry. 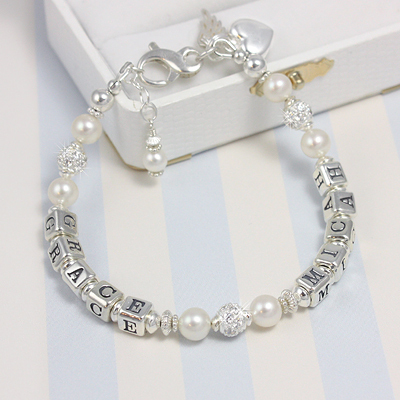 These beautiful mothers bracelets can have from one to three names on each strand. 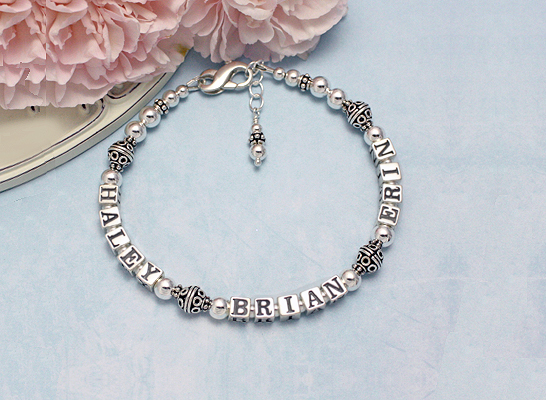 Our multi-name bracelets make wonderful gifts for mom and a beautiful Mothers Day gift! Our gorgeous signature packaging is included. 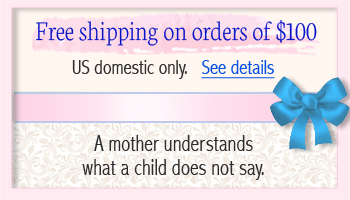 Customer Favorite! Personalized bracelets in all sterling with two or three names. 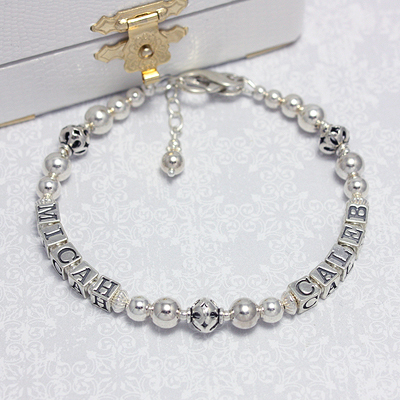 Personalized bracelets with two names, fine cultured pearls and sterling silver cz beads. 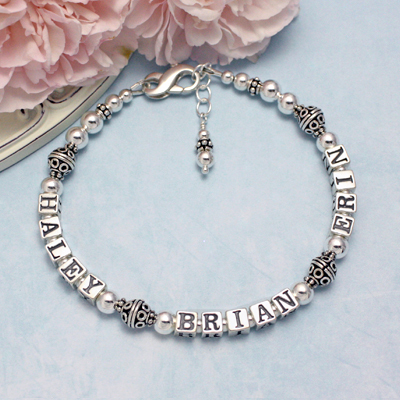 All sterling silver personalized bracelets for mothers. Available with either two or three names. 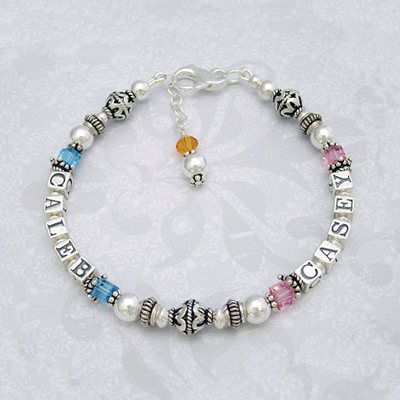 Personalized bracelets for mothers with birthstones and two or three names, up to 14 characters.